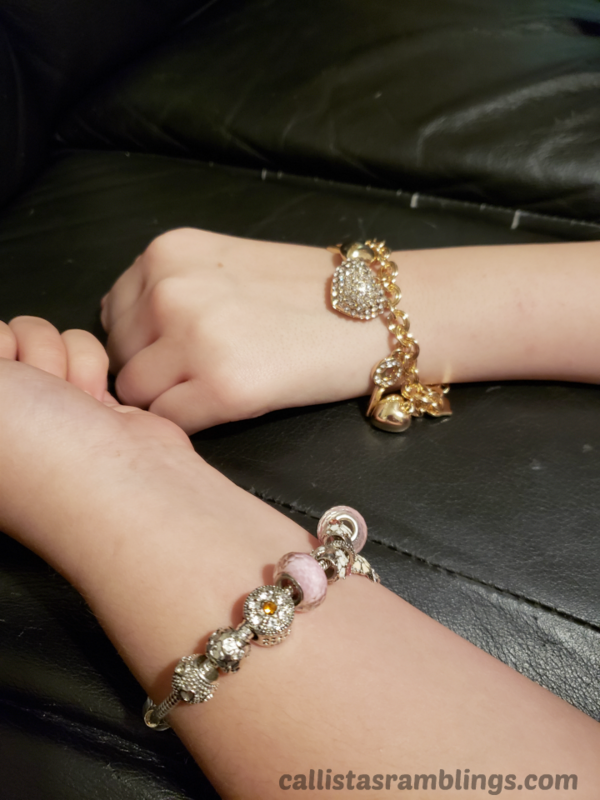 For Christmas my older girls each got a bracelet from Sureway Digital Mall and they are very happy with them. I wanted to share more about them today. Sureway Digital Mall sells different types of jewellery such as bracelets, anklets, necklaces, rings and earrings. You can find fashion jewellery as well as inspirational types. You can find something for men and couples as well. Sureway is an online only store that has been around for a few years. They ship to over 200 countries and buyers in US, Canada and Europe can get FREE shipping! My daughter’s bracelets came in little velvet pouches for protection and in bubble wrapped envelopes. They are beautiful. Disclosure: We received the bracelets in exchange for an honest review. The one shown above is a Gold Charms Bracelet and the other one is a Pink White Beads Bracelet. Each bracelet is well put together and stands up to frequent use. They fit my daughter’s wrist but have enough extra space that they could fit a larger wrist as well. Shipping can take between 7-30 days (after a period of 3-5 days to prepare it) but averages 10-15 business days in the US. I’m not sure exactly how quick mine came because I don’t know what day it was sent but it got here quicker than I was expecting. The store also has a unique section where you can find themed jewellery such as beach, couples, chakra, skull and animals. If you are looking for some new jewellery, I recommend Sureway Digital Mall. The prices are comparable to other places and you can’t beat free shipping if you qualify. Follow Sureway DM on Twitter, Facebook and Instagram.